Coalition to Cure Calpain 3 maintains the Global LGMD2A Patient Registry which can be accessed online. Yes, we are a 501(c)3 non-profit organization. 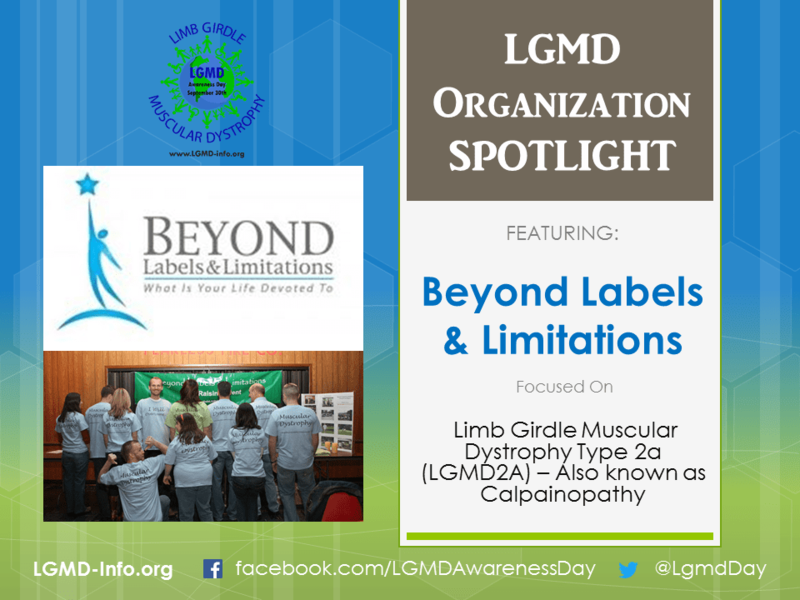 To support rigorous scientific research for LGMD2A and to educate others on the disease course, as recounted through my personal experience. Online peer support system through Facebook. The group that I established is “Limb Girdle Muscular Dystrophy: Beyond Labels and Limitations” and currently has over 2,600 members from around the world. The group is open to anyone with any form of LGMD and at any stage of the disease process. That if you want to make a difference you can do it by taking one step at a time. Donate and/or join the LGMD Facebook group. Donations can be made online. The cure is out there.